I post this each year at about this time as a public service. There are many fine ways to enjoy leftover turkey, but the best and highest use is the Hot Brown, a Kentucky favorite. The Hot Brown is a turkey-based, open face sandwich specifically made for topping off a stomach full of bourbon. Chef Fred K. Schmidt created it at Louisville's Brown Hotel in 1926 as a breakfast dish to be served before the previous night's revelers finally went home, or upstairs, to bed. Today it's usually served for lunch or brunch, sometimes for dinner. It's easily scalable and can be anything from a light snack to a hearty main course. It is on the menu at hundreds of Kentucky restaurants. This is the original recipe, as reported by the Louisville Courier-Journal. There are many variations. Some people say the Hot Brown itself is based on Turkey Mornay, which is similar but uses gruyère cheese instead of the Hot Brown's cheddar and parmesan blend. Saute onion in butter until transparent; add flour and combine. Add milk, salt and pepper and whisk until smooth. Cook on medium heat until sauce thickens, stirring occasionally. Add cheese and continue heating until they blend. Remove from heat. Put one slice of toast in each of four oven-proof individual serving dishes. Top each piece of toast with slices of turkey. Cut remaining toast slices diagonally and place on sides of sandwiches. Ladle cheese sauce over sandwiches. Place sandwiches under broiler until sauce begins to bubble. Garnish with crumbled bacon and sauteed mushroom slices and serve immediately. There are many variations. Most places don’t crumble the bacon, and there are many substitutes for the mushrooms, including grilled tomato slices and asparagus spears. Some simply forgo vegetables altogether. Parsley may be added for color. At buffet tables around Kentucky you may encounter the Hot Brown Casserole, whose creation the Brown Hotel also claims. That brings us close to Turkey Noodle Casserole, leftover turkey's last resort. Let's hope it doesn't come to that. Independent Stave Company has opened its second Kentucky Stave Mill, Benton Wood Products in Marshall County, another investment in Kentucky spurred by the growing American whiskey industry. Independent Stave is the leading producer of oak barrels for whiskey maturation. The stave mill is an intermediate step in barrel production, taking oak logs from the forest and rough-cutting them into staves and head pieces. The rough staves and head pieces are then shipped to one of the company's two cooperages for seasoning, finishing, and assembly into 53-gallon whiskey barrels. The new state-of-the-art mill is on 48 acres strategically located near high quality white oak forests in Western Kentucky, just west of Kentucky Lake. Independent Stave's other Kentucky Stave Mill is Morehead Wood Products in Rowan County, in Eastern Kentucky, which opened in September of 2015. The company's Kentucky cooperage is in Lebanon, in Marion County. Its other cooperage is in Lebanon, Missouri, where the company is based. Independent Stave has seven stave mills, one in France and six in the United States. They also make wine barrels. Justin Nichols, a 20-year veteran of the company, will manage the new mill. You can't argue with the name. My father drank bourbon and rye his whole life and I guarantee he would not go near this stuff. The press materials credit Wisconsin's Minhas Distillery as the maker. Minhas is in Monroe, in what used to be the Joseph Huber Brewery. But it appears unlikely that the bourbon component of this product was actually distilled there. The clue? The label says 'Produced and Bottled by Small Town Craft Spirits, Monroe, WI.' Use of the word 'produced' instead of 'distilled' almost surely means it wasn't distilled there. There is no way to know for sure, but most likely it is very young bourbon made by MGP in Indiana. But wait, wouldn't it have to say 'distilled in Indiana' on the label? And if it's young, less than four years old, isn't an age statement required? No and no, because the product isn't classified as 'bourbon whiskey,' in which case those things would be required. As a 'whiskey specialty,' anything goes. The 'bourbon whiskey' component has to meet the most basic requirements for bourbon whiskey, but that is about it. So, to sum up, not bourbon, not craft. The only thing true is that your father would probably hate it. Pabst Brewery owns this product. This Pabst, of course, has nothing to do with the brewery owned by Captain Frederick Pabst in the 19th century, except the name. That company effectively died in 1985. The present company is based in Los Angeles. This Pabst makes and distributes a portfolio of famous beer brands, including Pabst Blue Ribbon Beer. It operates a tasting room, museum, and small brewery on the site of the old Pabst Brewery in Milwaukee. Small Town Craft Spirits is the distilled spirits division of Small Town Brewery, located in Wauconda, Illinois. 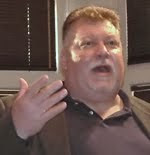 They had a hit with a flavored malt beverage called Not Your Father's Root Beer, which caught the attention of Pabst who, in 2015, signed a distribution agreement with Small Town, and bought a piece of the company. Pabst has a lot of distribution muscle. No doubt this product will be widely distributed. Binny's, the big retailer here in Chicago, already has it ($27.99 for a 750 ml bottle). 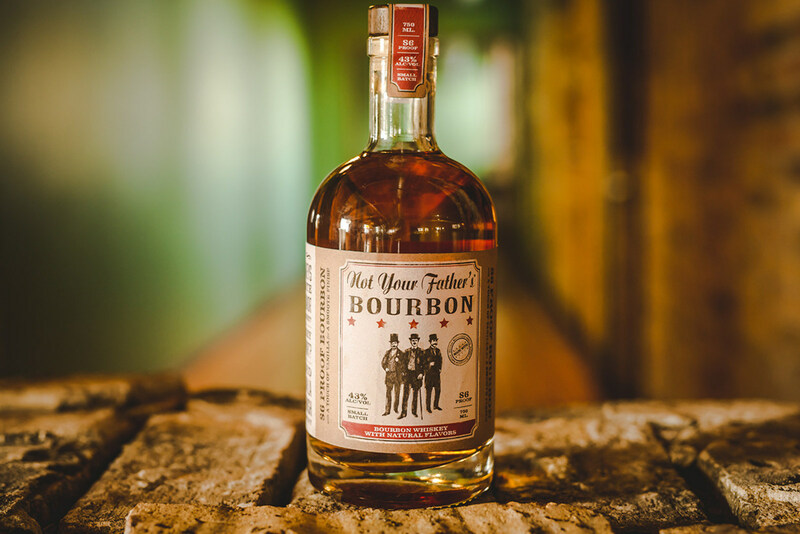 Not Your Father's Bourbon is getting a lot of publicity and, in most cases, you're just reading the press release. Now you know the rest of the story. 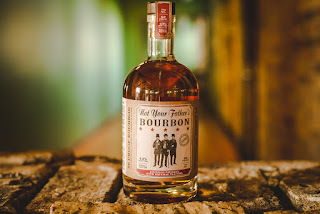 'Whiskey specialty,' the official TTB category into which this falls, is a big catch-all that includes finished whiskeys such as Angel's Envy and most of the Woodford Reserve Master's Collection, as well as flavored products such as this one and Red Stag by Jim Beam. Where this one crosses a line is putting 'bourbon' in the name. To the consumer that conveys the message, 'this is bourbon,' even though it isn't. Legally, the call is very close to the line. Which side of the line it is on is unclear. My father and mother were very frugal. They bought the cheapest Kentucky Straight Bourbon Whiskey in the store, but 'Kentucky Straight Bourbon Whiskey' had to appear on the label or they were not interested. It is a simple test that still works today.